Have you ever longed to escape to a place that would take you far far away from the madding crowd, and the hustle and bustle of your city life? 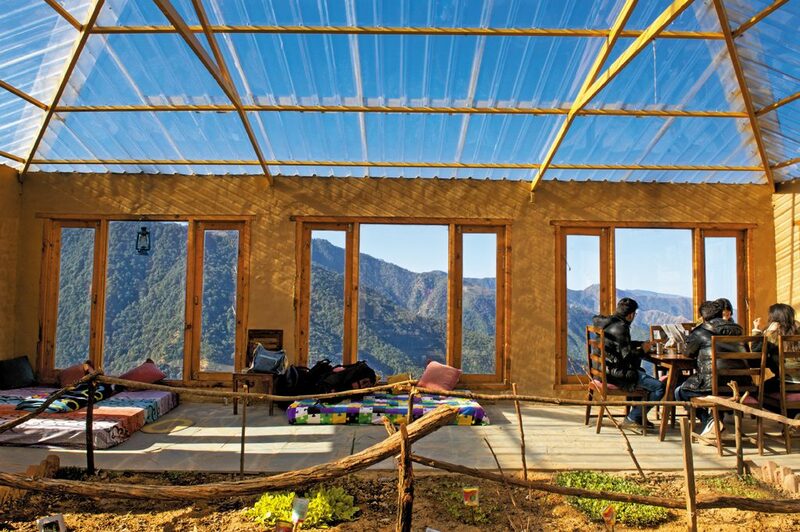 Then The Goat Village in Tehri, Uttarakhand ought to be on your travel bucket list. 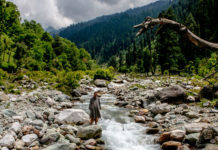 The Nag Tibba Trek is today one of the most popular treks in the Garhwal region of the Himalayas, and is fast catching on as the ideal weekend trek from Delhi, given that it is only 57 kms. from Mussoorie. 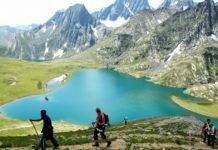 It also attracts mountaineering and trekking enthusiasts for the thrill of scaling the highest peak of the Lesser Himalayas. Halfway along this trek route from the village of Pantwari is The Goat Village. 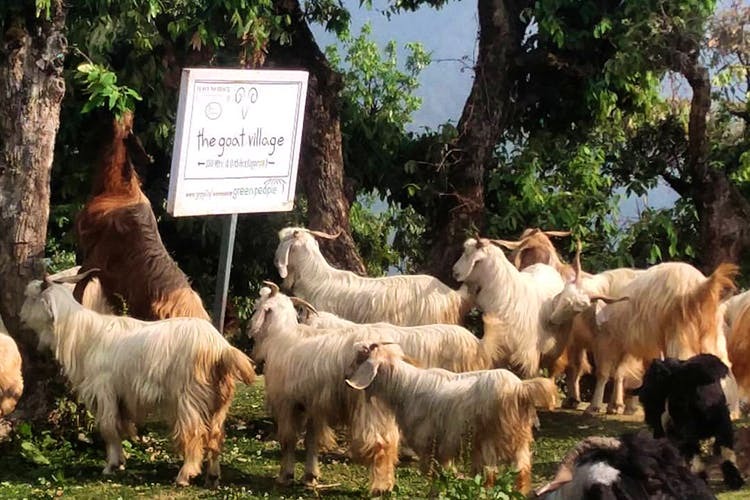 Of the many initiatives by The Green People to revive abandoned villages in Uttarakhand and encourage reverse migration of farmers, The Goat Village is one. 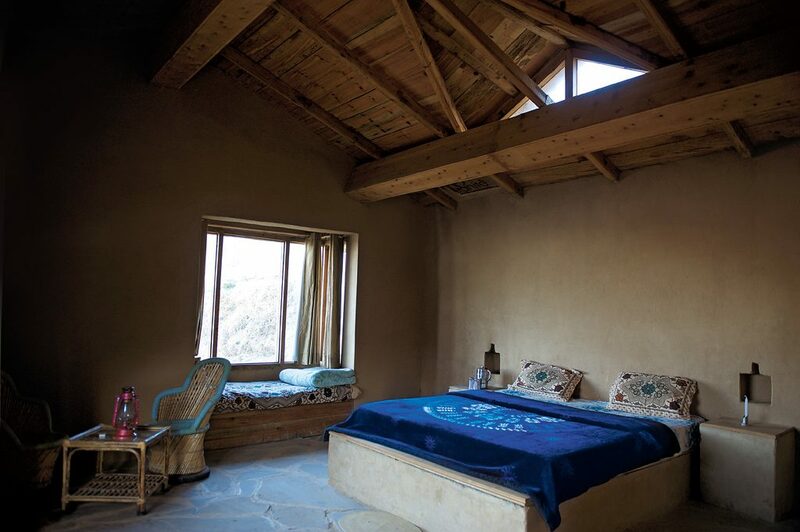 This Himalayan farm retreat boasts of traditionally curated Garhwal homes built only from wood, mud, and the slate that chips and falls off the mountains. It is a little village of wooden cottages nestled in the mountains, where to touch the clouds, all you have to do is extend your hand. With no electricity or Wi-Fi to distract you with updates every few minutes, that is just what you end up doing. 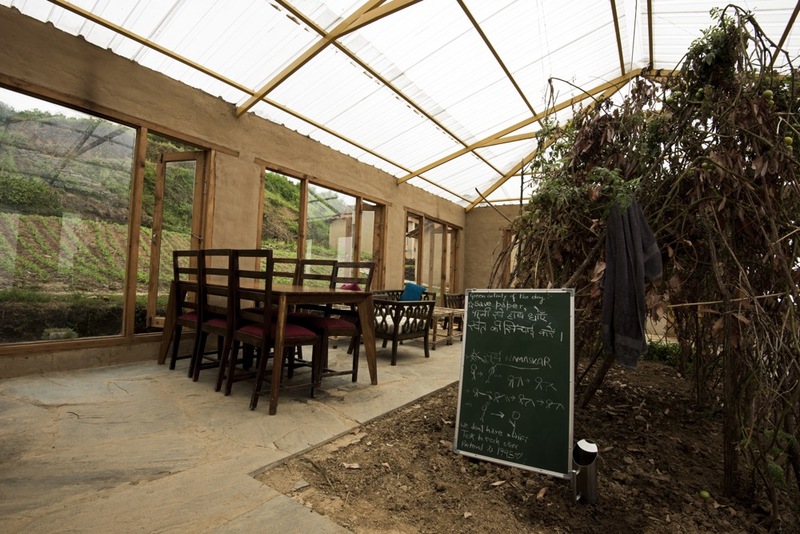 The Goat Village in Nag tibba, Uttarakhand is a unique farm retreat where one gets to experience Garhwali village lifestyle, right in the lap of the Himalayas. 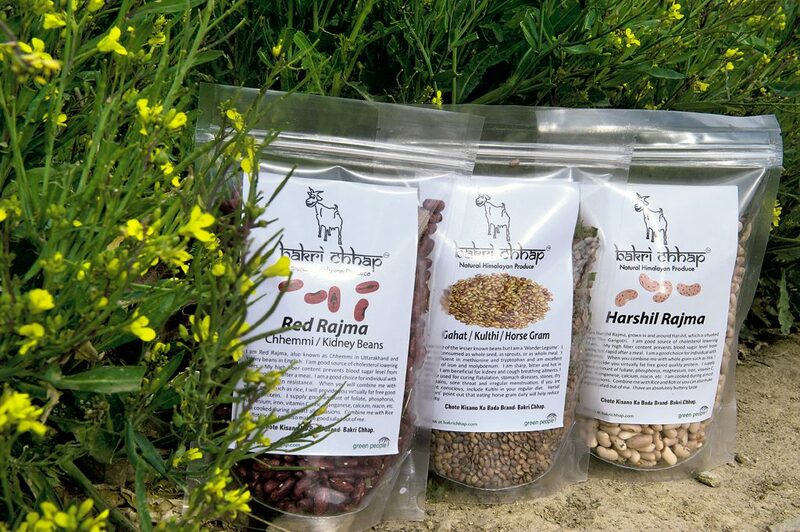 Agritourism and Village Tourism in Himalayas is a fantastic way to learn and explore the culture and rustic way of life. 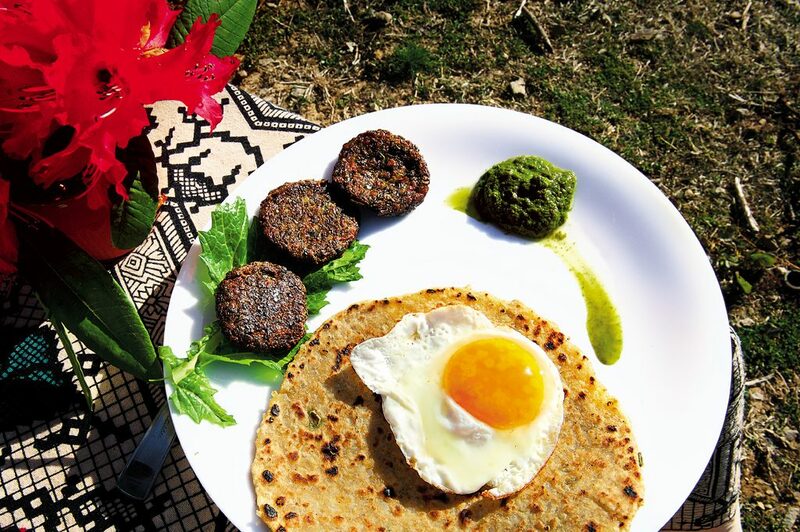 Eat the traditional indigenous farm fresh homegrown food, graze and milk the goats, eat country eggs from the in-house poultry, walk with the shepherds and villagers into the jungles to learn interesting life-hacks, read in the most peaceful surroundings, dirty your hands with farming, hike on serene trails, get tech-detoxed, or simply do nothing and chill. The Goat Village is located at the height of 2000m / 6500ft, the midpoint of the famous trek route to Nag tibba at 3022m / 10000ft. 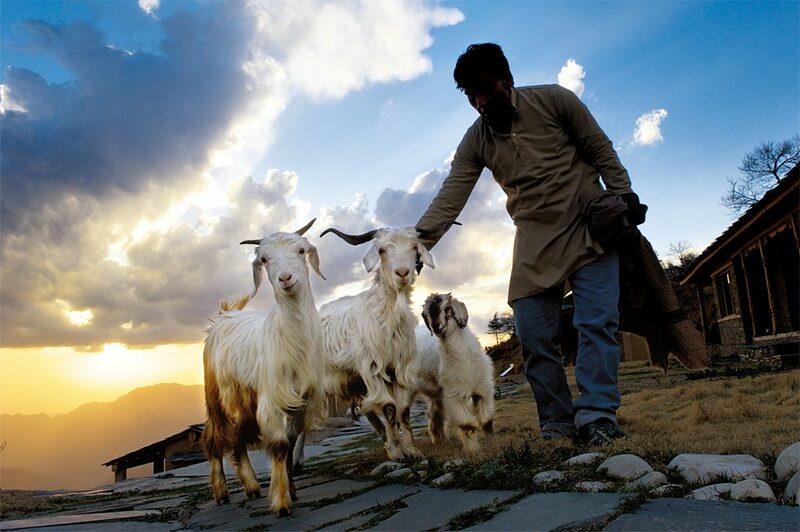 The Goat Village is a 2-3 hours hike from the road at Pantwari village (4 hours drive from Dehradun). 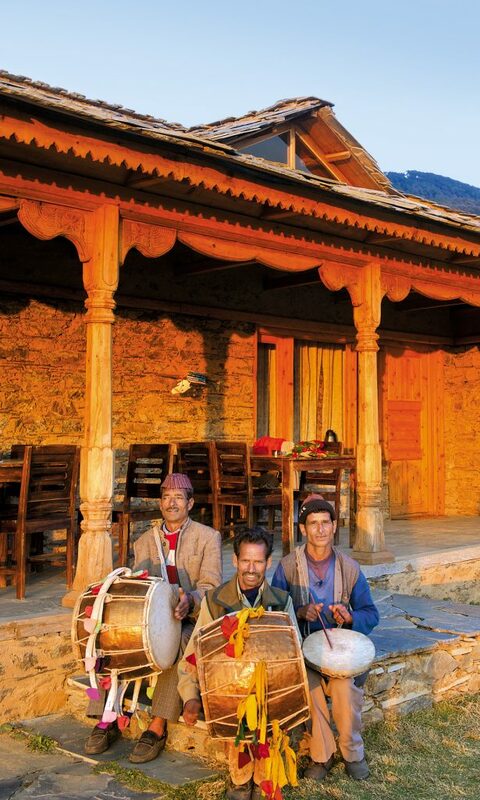 Since it remains cut-off from the road and other hustles-bustles, it is one of the most peaceful locations to stay. Dehradun has the nearest airport, with direct flights from Delhi (multiple options, from approx. â‚¹2,500 one way), Lucknow (Indigo, from approx. â‚¹2,500) and Mumbai (Jet Airways, from approx. â‚¹5,000). 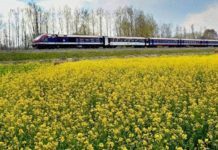 weekdays and non-holidays, the maximum stay duration for this is two nights and eligibility also depends on vacancy and a screening process. 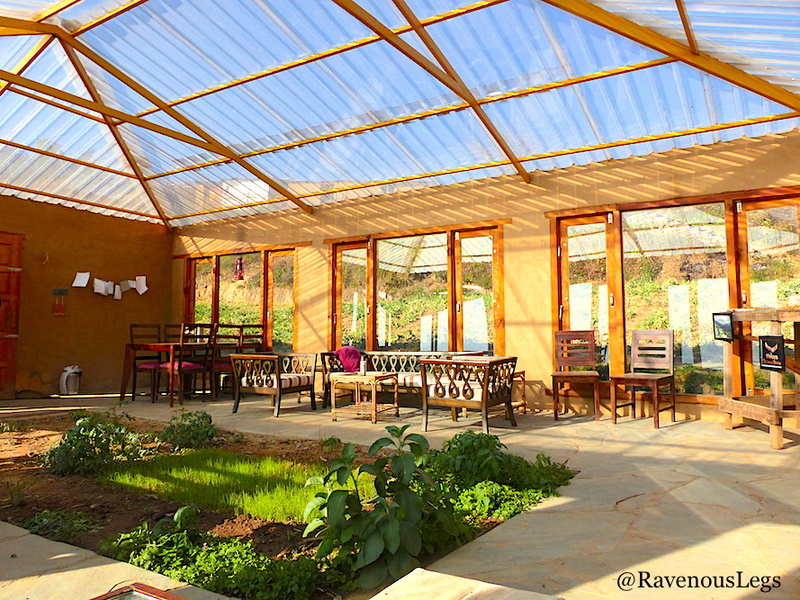 (one accommodates up to 9 persons, the other 6; â‚¹2,000 per person). 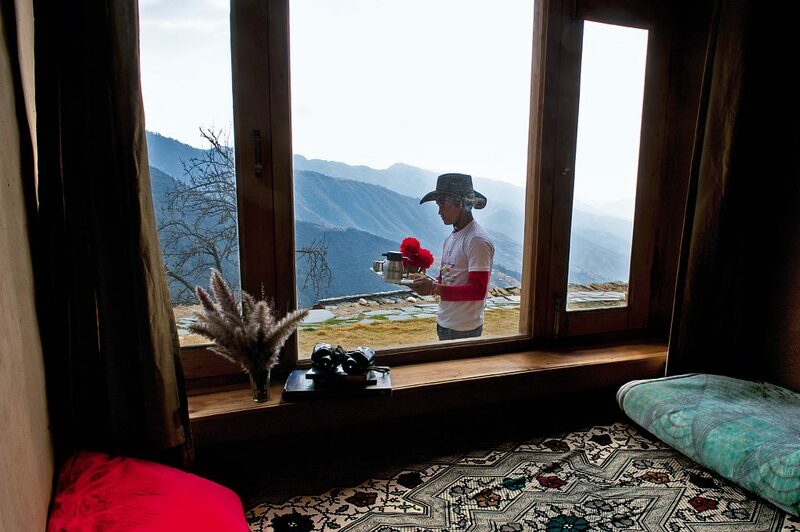 The tariffs include all meals, hot water, tea/coffee, escorted trek to Nag Tibba and bird walks. 91-7252007597, [email protected] For details, visit thegoatvillage.com. The place advises you to carry your own towels, soaps, and other toiletries to prevent wastage. Charging ports are available in the kitchen, where they run on solar panels. The trek isn’t easy, and you should carry a water bottle and take breaks. >The Goat Village has a ‘keechad’ pool (mud pool), where you can participate in a ‘keechad party’. one of the staffers and then eat food cooked using them. it’s possible to take a walk in the areas surrounding the Goat Village and spot beautiful avifauna. One path goes over the hill, another through a semi-forested area. You can also pick rhododendron, chamomile, goji berries on the way and generally enjoy the views. bunch too–Pawarji claims to have once fought off a bear! 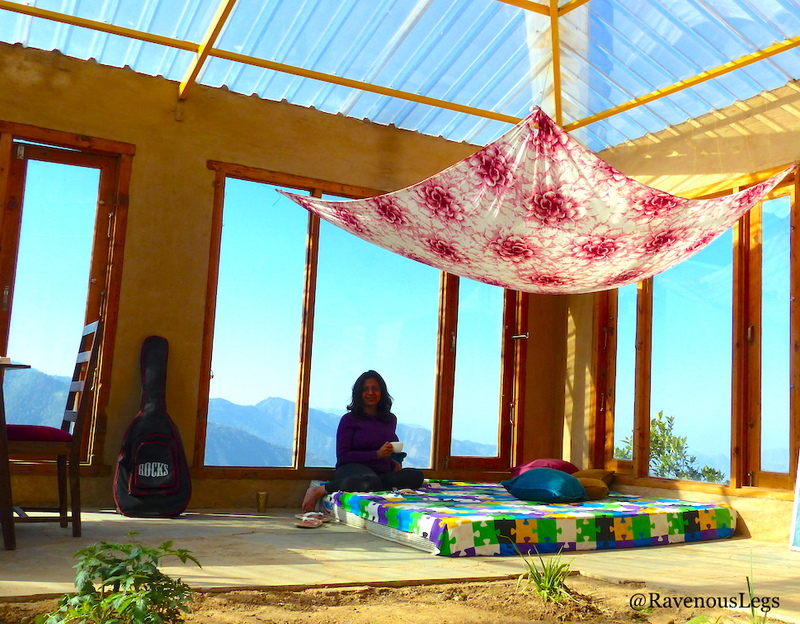 >The trek to Nag Tibba takes the good part of a day, so leave as early as 7am. Previous articleNotification issued for 2nd phase of Lok Sabha elections.